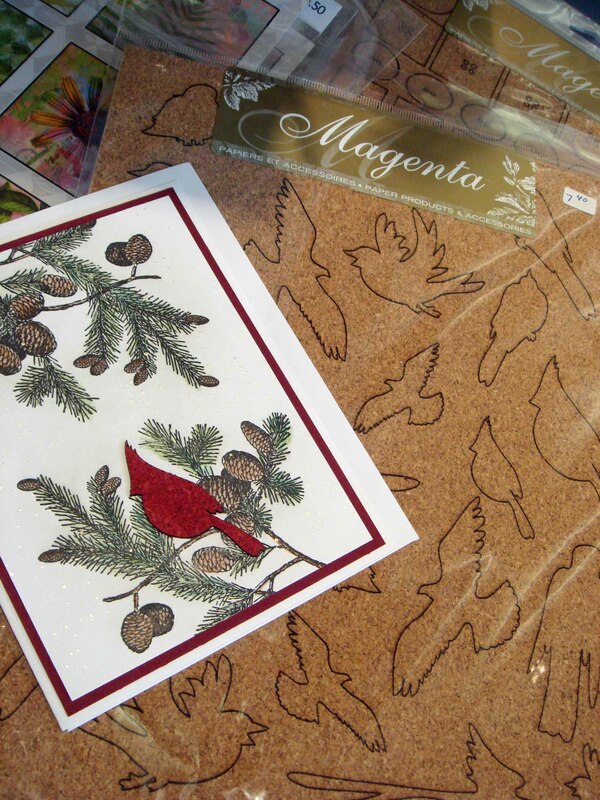 I have long been a fan of the elegant art stamps from Magenta, a Canadian company that has been around for as long as I’ve been stamping. 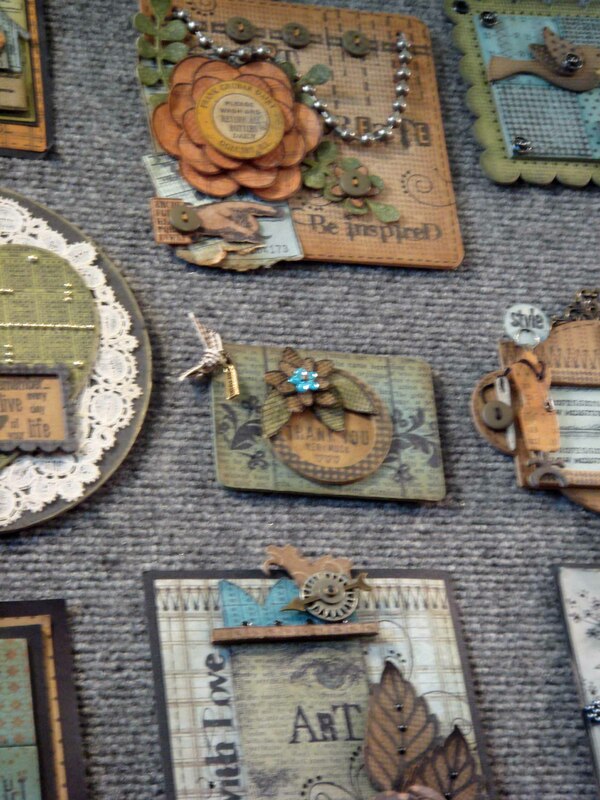 The stamps, whether wood mounted or on cling, never fail to delight — and the samples the company shows at its booth always make me drool. Now THIS is art! Thanks for stopping by! And Happy Thanksgiving to everyone! I hit the Original Rubber Stamp Convention in Carson, Calif., (fondly referred to as “the Carson show”) to see what was new and happening. 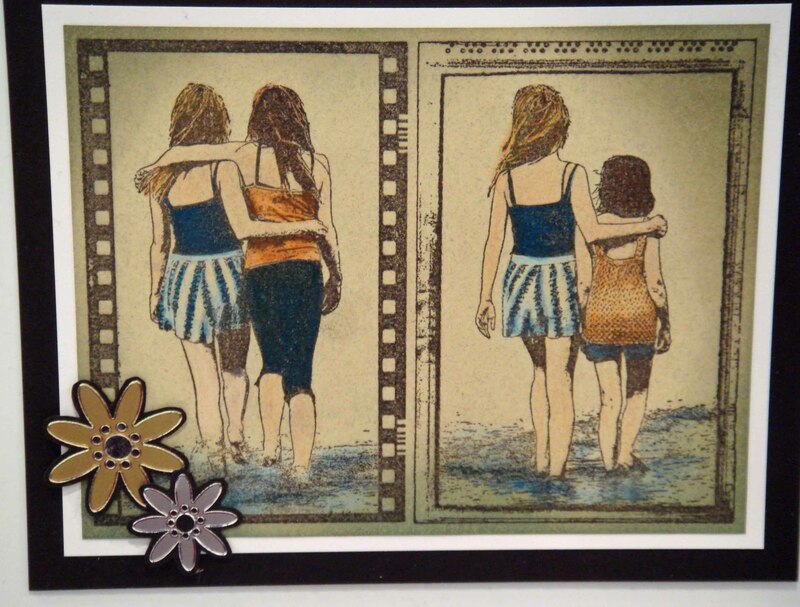 Today I will show you some fun new products from designer Wendy Vecchi, sold through Stampers Anonymous. 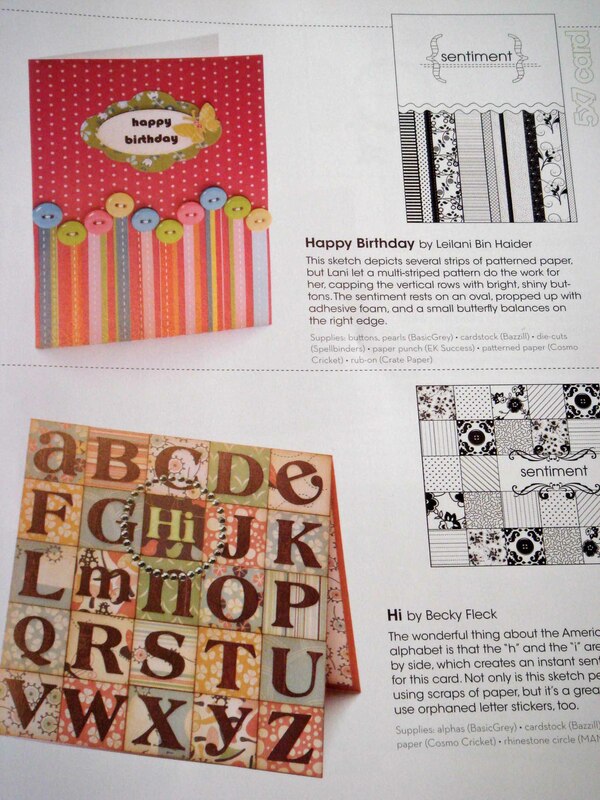 Wendy’s line, Studio 490, is fresh and funky and includes stamps, “art parts,” and three inspiration booklets. 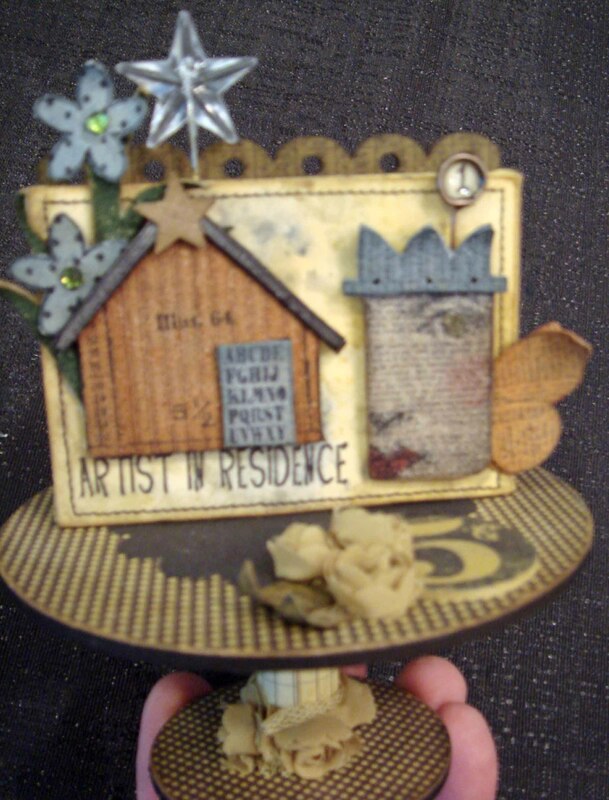 You can see more on Wendy’s blog: http://studio490art.blogspot.com. 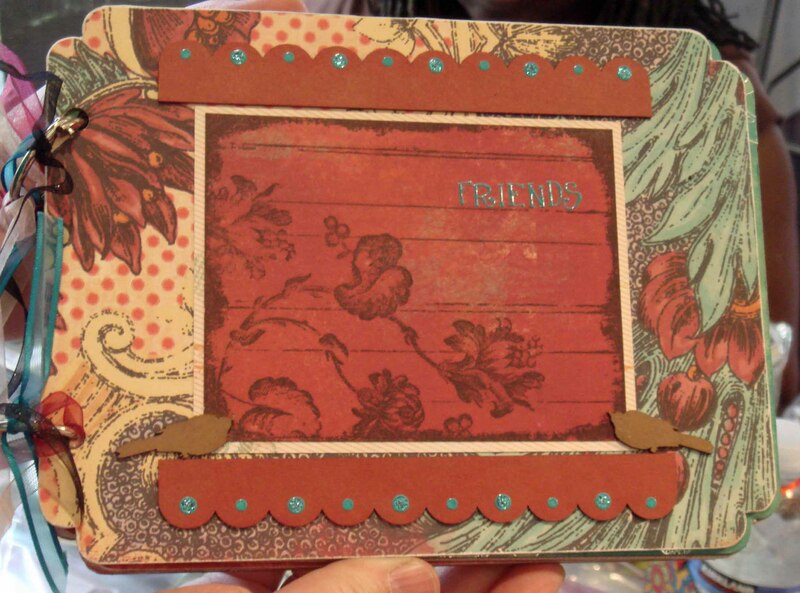 Come back the next few Fridays for more peeks from the Carson show, including a beautiful technique from Judikins, sassy new images from American Art Stamp, new products from Magenta, and a fabulous project kit from Darcie’s. Fabulous Finds Friday — Bargain Day! A few weeks ago I was getting some exercise (walking up and down the aisles in Michael’s — that counts as exercise, right?). I wasn’t planning on buying anything (really!) until I passed the $1 bin. I am a sucker for the $1 bin. You’ll know I’m a sucker when you see what I bought …. 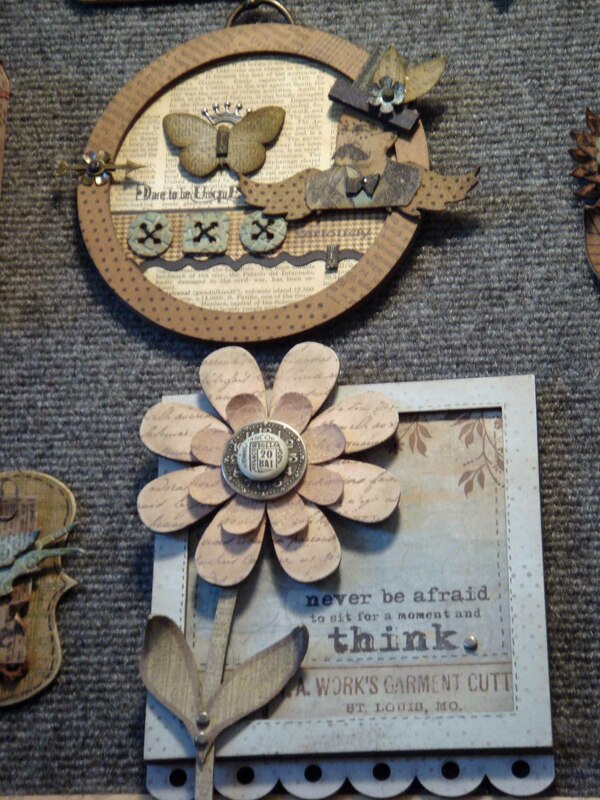 paper flowers… buttons… and two giant clothespins. Of course I have about a bazillion paper flowers. 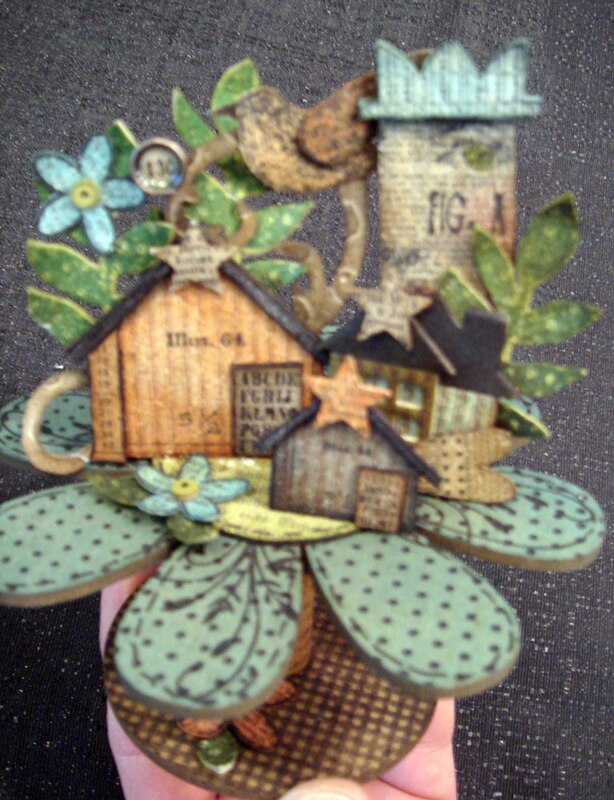 I have tubes and jars and baggies full of paper flowers… from Prima and KaiserCraft and Making Memories and …. others. And I hardly ever use buttons. Don’t even get me started about the clothes pins. 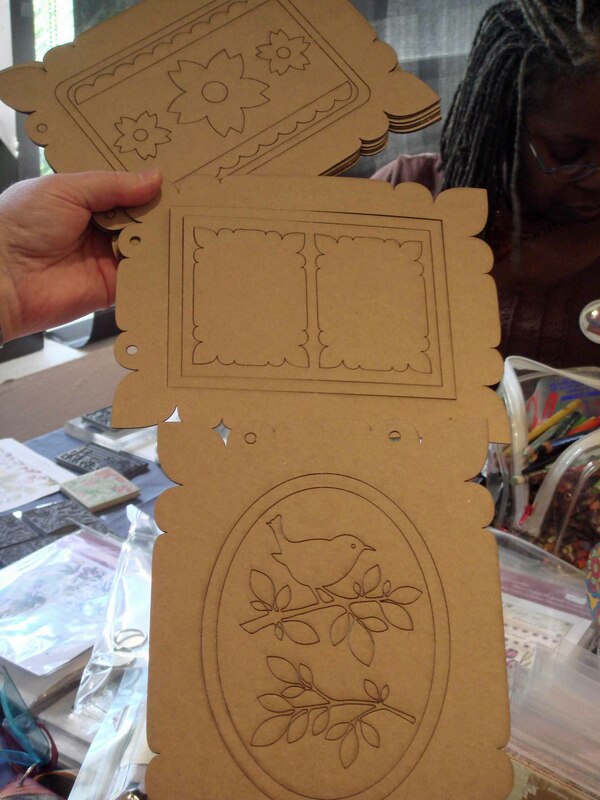 Such fun — and so quick and easy! Thanks for coming by! Drop by again on Friday. 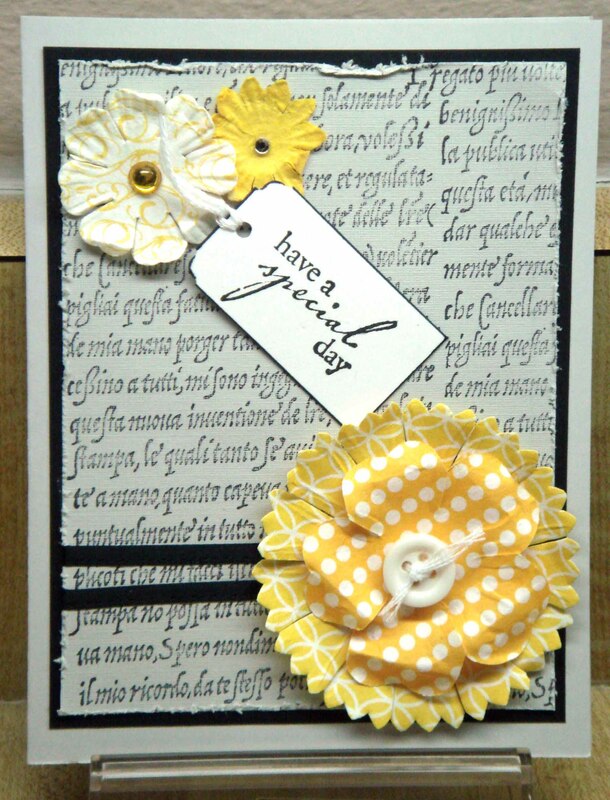 Do you ever sit down to make a card and just … well, just run out of ideas? Can’t figure out where to start? Don’t know where to put the focal point? 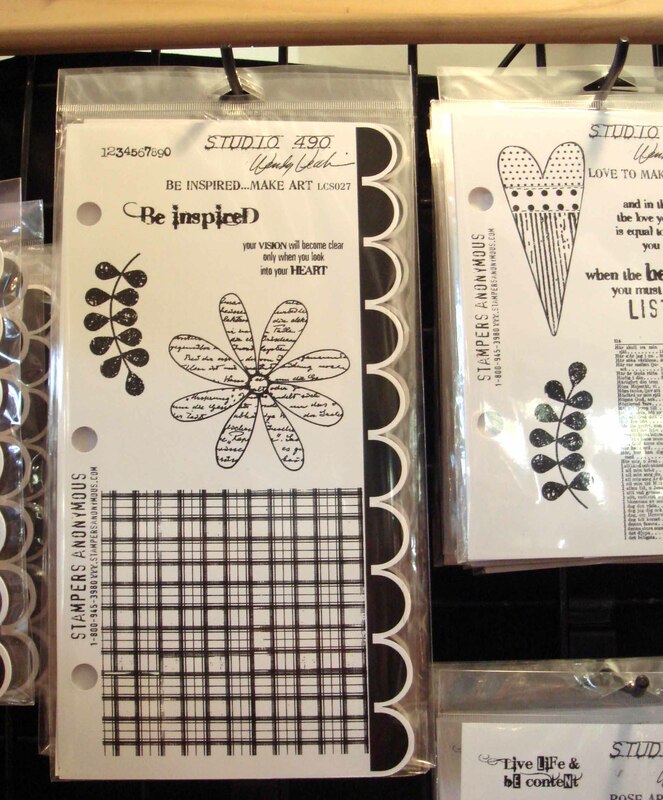 Sometimes, stamping is like a journey: you need a map to reach your destination. That’s where Page Maps comes to the rescue. 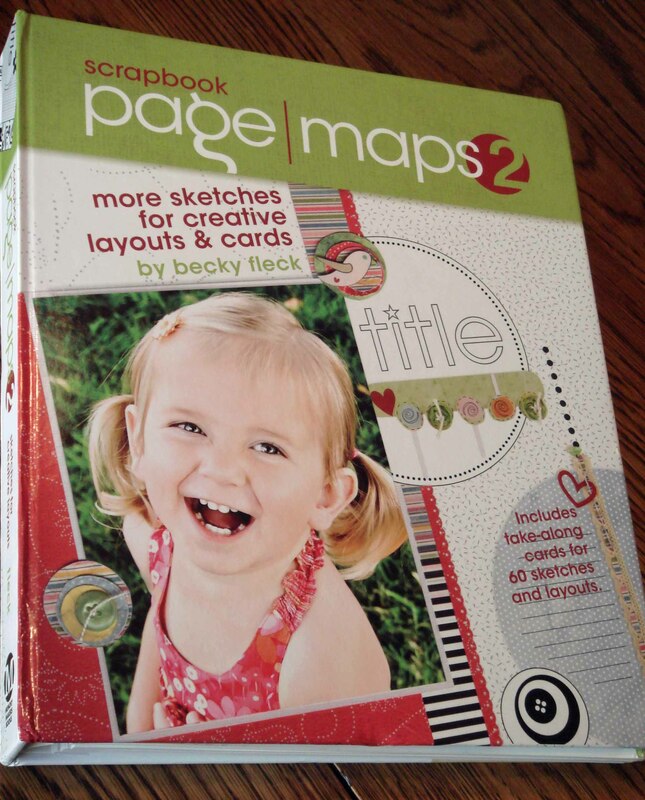 Becky Fleck’s latest road trip gives us “Page Maps 2: More Sketches for Creative Layouts & Cards.”* by Memory Makers Books (part of F&W Media). 1. 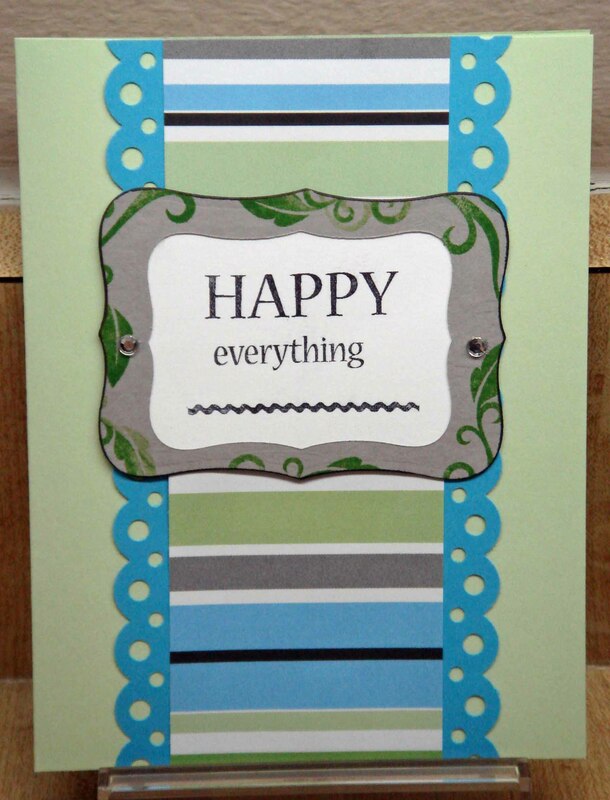 Why is it helpful to follow or create a sketch before making a card or layout? 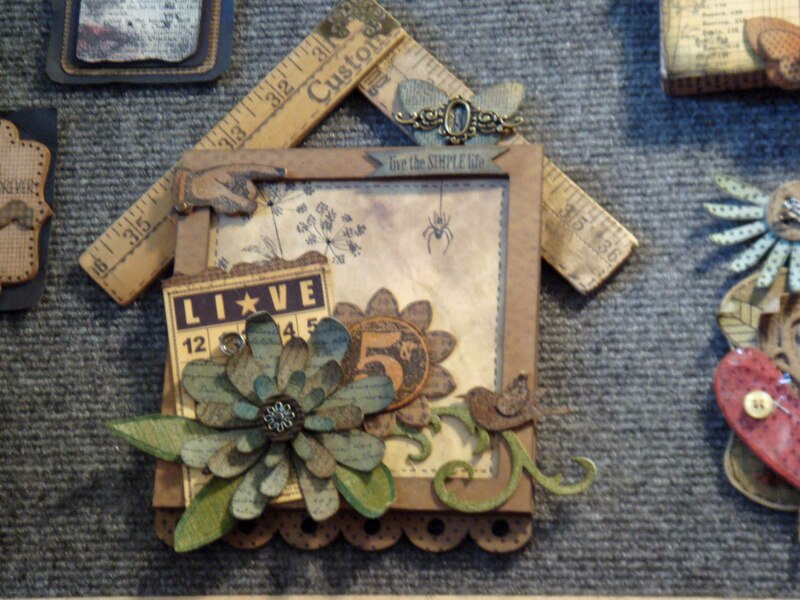 It simplifies the process of “what to put where” and gives you more time to fuss with photos, papers and embellishments. Sketches are also a real time-saver for busy scrappers on the go. 2. How do you “visualize” a sketch? I start out with an idea of what the sketch will look like (how many photos, etc.) then begin blocking it out on paper. When I am happy with the rough sketch, I recreate it on my computer. 3. 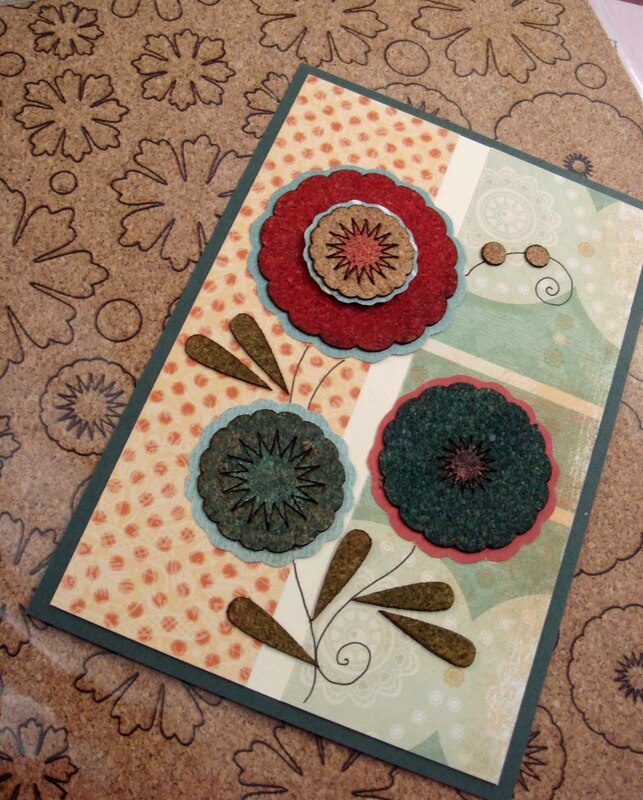 Any tips for adapting scrapbook page maps into cards? 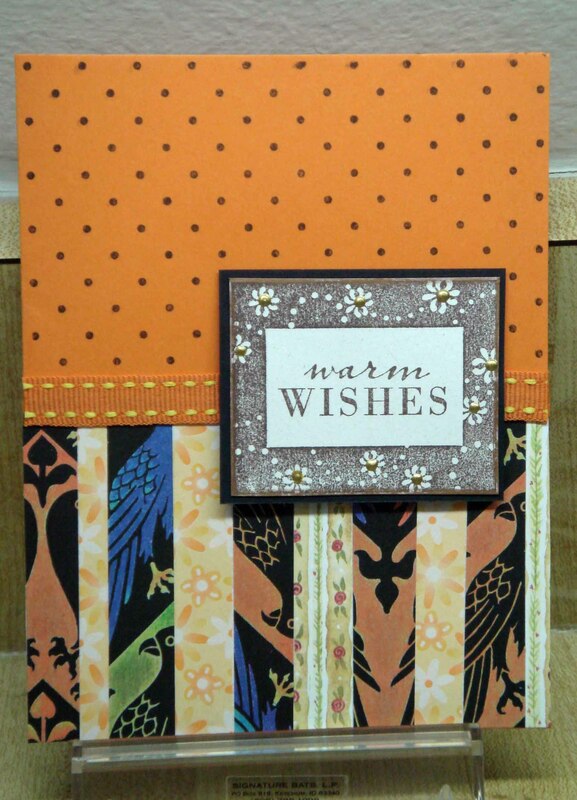 All of the 8½x11 vertical and horizontal sketches are easily adaptable for card makers, as well as some of the simpler 12×12 sketches to create a square card. 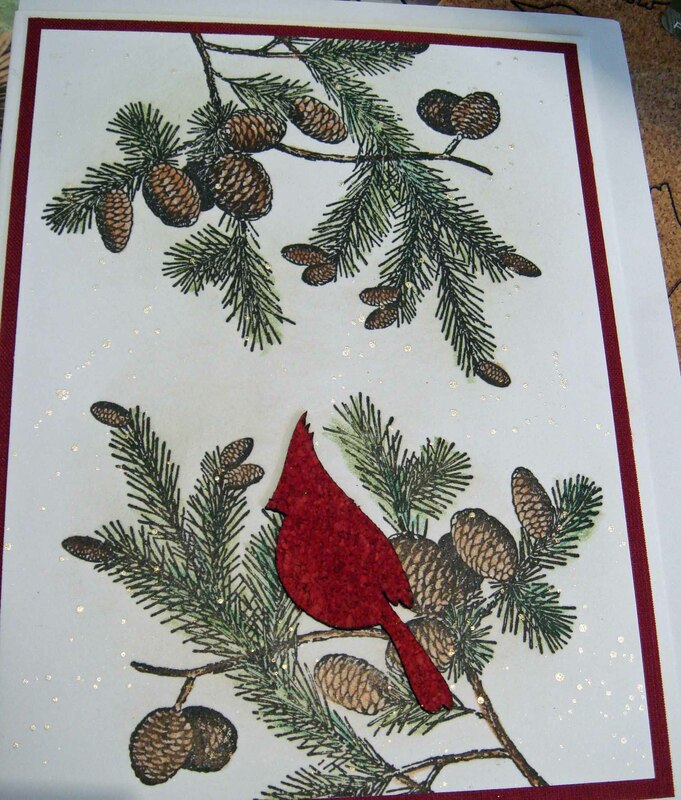 I’ve used them for cards and discovered that if you mentally block out some of the embellishments and remove the photos on the sketch, a solid card sketch appears! 4. 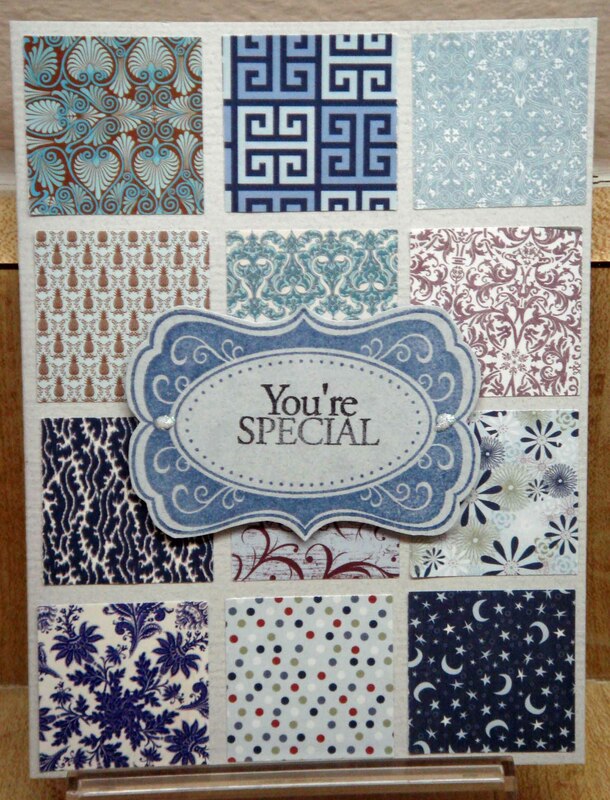 What inspires you to create a layout or card? 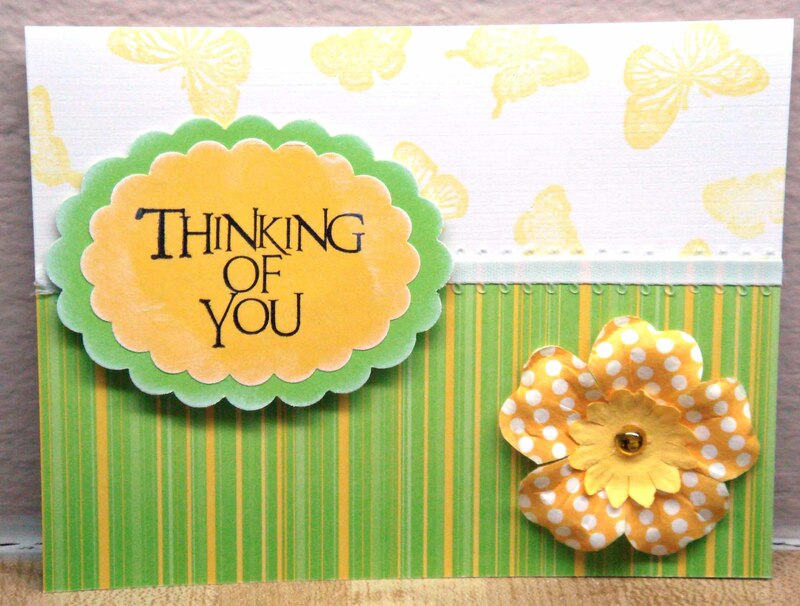 Stay tuned… I’ll post some other cards made from traveling along Becky’s maps. *Disclaimer: Book provided by F+W Media.